One can search and troll the web for information (or misinformation) about tigers, there is plenty of information available indeed. These notes are, however, our own observations and opinions wholly based on more than 15 years working with these big cats. Almost invariably, our visitors would assume that Zanah--pictured above--is snarling at someone in the crowd. This is a common misconception because this "snarl" has more to do about "smell" than an "upset tiger." Flehmen Behavior: Snarl or Smell? 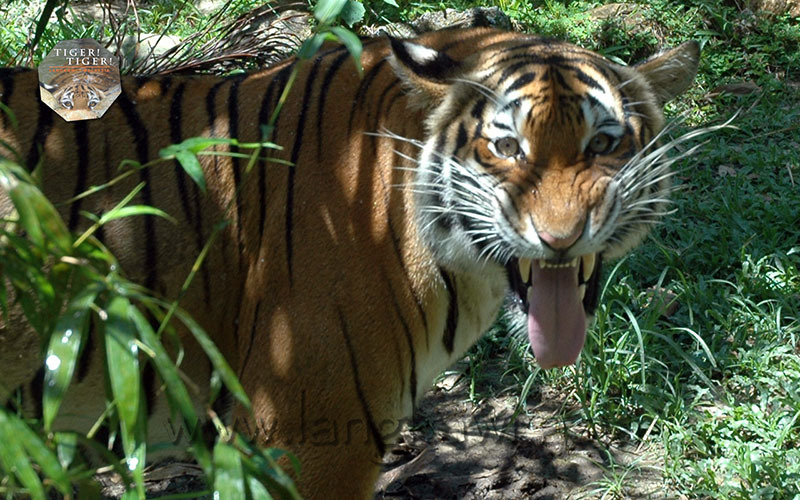 This "snarl" is referred to as the "Flehmen Behaviour." When a tiger detects an odor, it would pull its face muscles backwards into a "snarl." However, this action merely widens her nostrils further to take in the odour. Tigers normally react this way when, for example, it detects the urine of other tigers in its territory. Cattle display this same behaviour as well. But if parents at the Park wish to silence noisy children by saying their ruckus has "upset the tiger," go ahead. We certainly have no objections to that. A Tiger Has Four Eyes? 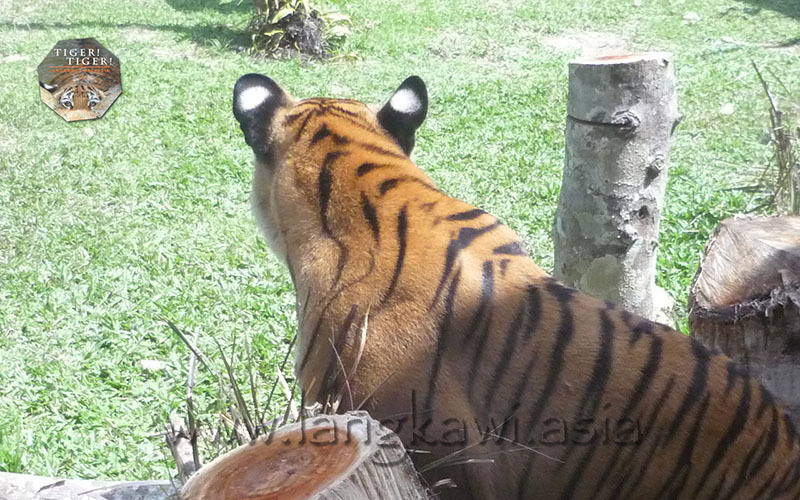 Many have noticed the "unique" white spots on the back of Zanah's ears and some have even noted that they thought only white tigers had them. 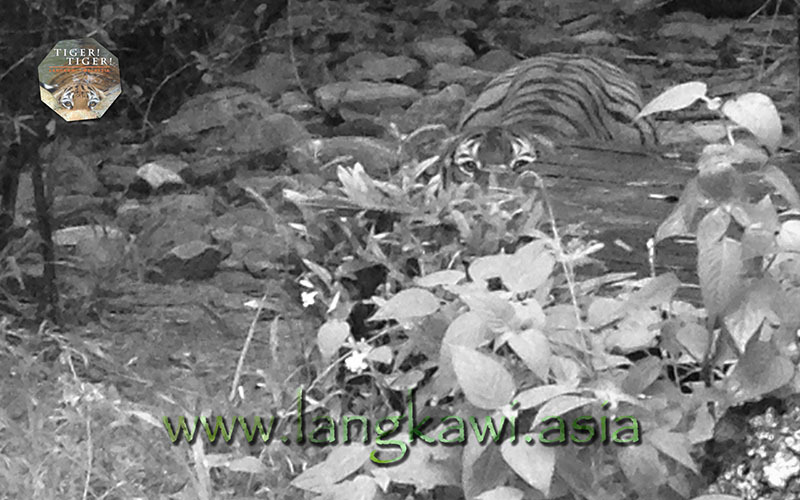 However, these white patches are found on all tigers--from Siberia to Sumatra and whether orange or white. We believe they serve as a "second pair" of eyes. On the chance an animal successfully sneaks up on a tiger from behind, these eyes would arguably deter such animals from taking another step closer. We humans may be able to differentiate eyes from white patches, but animals are more primal. Airline companies have put "eyes" on aircraft to deter birds from approaching aircraft around the world, a trick we learnt from Mother Nature. 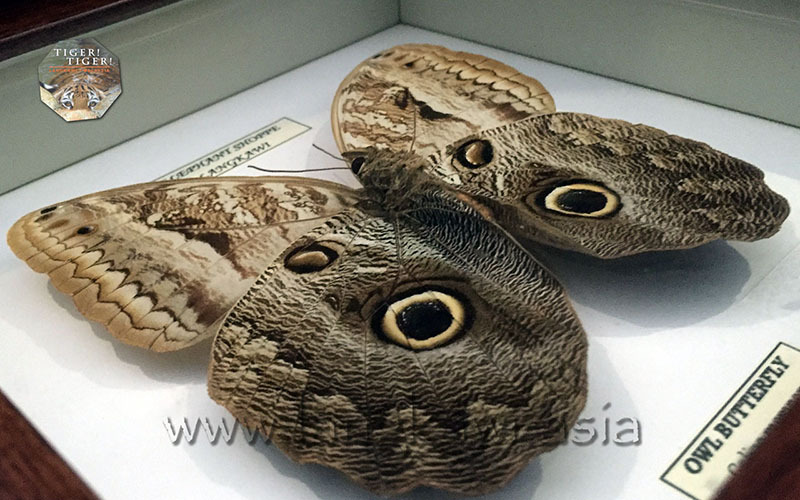 After all, some butterflies even have eyes on their wings to deter predators, such as the Owl Butterfly, pictured above. The only thing is, what would be preying on tigers? Must have been something up the stream of evolution that tigers needed a "back-up" defense mechanism. Finally, haven't we heard of tales of rubber tappers and farmers working close to forests with "eyes" printed on their headgear. This makes good sense, although one would be wiser to have those eyes facing backwards because tigers commonly attack tappers and farmers from behind. Note: The following may only apply to tame captive tigers. 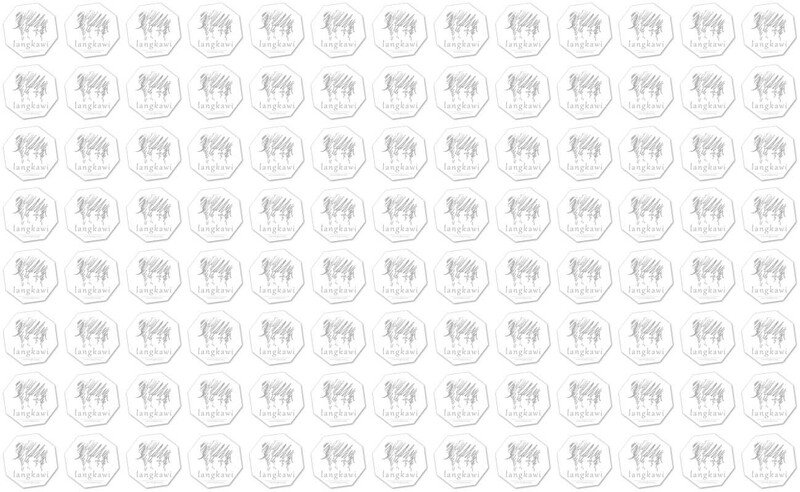 Tigers, as we know, are colour-blind; the picture below depicts what we think the tiger sees, in grayscale. We've noticed how Zanah "tries" to conceal herself behind small objects, such as her sunbathing platform here or even a bamboo plant. Her tail would sway from left-to-right, in an attempt to distract us. She would stalk us until we turn our backs to her. Posted below are some of the frequently asked questions we have at the Park. Q: Does the tiger recognize you (handlers)? A: Yes, the tiger recognizes handlers closest to her and she reacts greater to those closest to her. Q: What is the lifespan of a tiger? A: The oldest recorded tiger lived to a ripe old age of 25 years in captivity. Although we expect tigers to live 12-15 years in the wild.